This really resonated with me as I reflected on International Nurses Day and how proud it made me feel to be a nurse. Jane’s words “consistently overwhelmed” echo my thoughts and feelings with regards to nursing and in particular my own area of nursing and the tweeting #NurseCommunity. On International Nurses Day this year, @6CsLive and #WeNurses came together on the theme of inspiration. We asked nurses and midwives to share via twitter, who inspired them and why. We then mapped the tweets, creating hot spots of inspiration – this map can be viewed here. Reading the tweets was a truly humbling experience, compounded further by the Twitter discussion Inspiration in Nursing and Midwifery – an hour that made me truly proud to be a nurse and a tweeting nurse at that! Sometimes it is the everyday things in nursing that inspire us and it is certainly these everyday things that have motivated me throughout my career and continue to do so now in a digital space. Inspiration is a ‘fluffy’ but necessary part of nursing. Those who inspire us range from our role models and mentors, to the patients we care for, to the people who care for them. But all give us the inner strength to carry on and fuel our aspirations to be the caring and compassionate nurses we need to be. The tweets of inspiration I have shared have become an inspiration in their own right. They have fuelled me and given me strength and I aspire to be every one of those nurses who were tweeted about. However, I have to agree with @donnajkemp who tweeted “my gold * goes to #nursingcommunity for bringing new perspectives and flattening hierarchy” for these are the nurses who consistently overwhelm me. 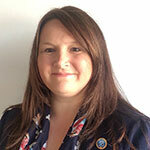 Teresa Chinn is a Registered Nurse, and Professional Social Media Community Development and blogger for WeNurses. Teresa was an agency nurse who found herself professionally isolated and reached out to social media to connect with other nurses. Teresa runs WeNurses which is primarily a Twitter-based real time weekly discussion that enables nurses to share ideas, information, experience and expertise around a predetermined subject. WeNurses has grown and developed significantly and now has a following of nearly 75,000 and uses a range of social media to engage them including Twitter, Facebook, Pinterest, Vimeo, Blogs and Prezi. In addition to running WeNurses Teresa has become a social media specialist and now works with healthcare organisations delivering workshops, seminars, speaking at conferences and providing social media consultancy. In 2005 Teresa received an MBE for services to nursing . Teresa tweets as @AgencyNurse and @WeNurses.